(Music Sales America). This updated color edition of the best-selling Christmas title includes a feel-good assortment of music, stories, recipes and poems that perfectly capture the traditional spirit of Christmas and the season of goodwill. Features magical stories from the likes of Dickens and Hans Christian Anderson; recipes of good cheer and Christmas dishes with a difference; yuletide poems by Tennyson, Hardy, Shakespeare, and much more. Contents: Angels from the Realms of Glory * Away in a Manger * Christians Awake * Deck the Halls * Ding Dong! Merrily on High * For Unto Us a Child Is Born * God Rest You Merry, Gentlemen * Good Christian Men Rejoice * Good King Wenceslas * Hark! The Herald Angels Sing * Here We Come A-Wassailing * I Saw Three Ships * In Dulci Jubilo * Jingle Bells * Little Jesus Sweetly Sleep * O Christmas Tree (O Tannenbaum) * O Come, All Ye Faithful * O Come, O Come, Emmanuel * Once in Royal David's City * Past Three O'Clock * Patapan * See Amid the Winter's Snow * Silent Night * The Coventry Carol * The First Noel * The Holly and the Ivy * The Twelve Days of Christmas * Tomorrow Shall Be My Dancing Day * We Three Kings of Orient Are * We Wish You a Merry Christmas * While Shepherds Watched Their Flocks. About James Sleigh (Editor) : James Sleigh is a published compiler. 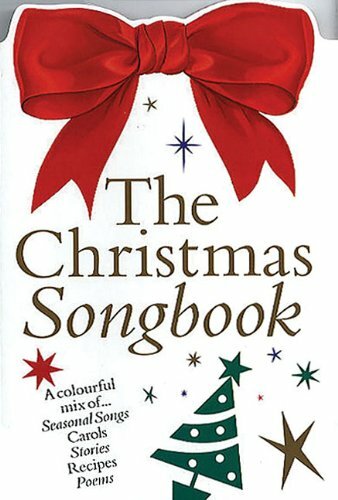 A published credit of James Sleigh is The Christmas Songbook.